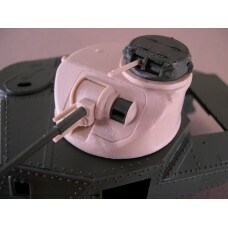 A Complete Replacement Turret, Highly Detailed in Every Way. 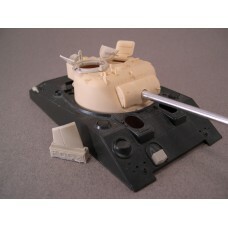 Kit Includes: Lion Marc Turned Alumi.. 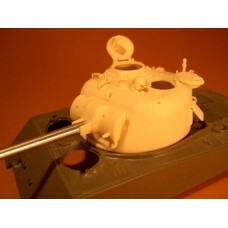 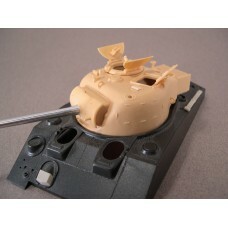 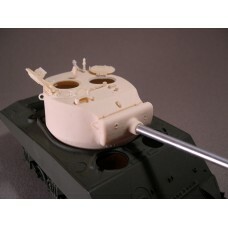 Kit Includes: Lion Marc Turned Aluminum Gun Barrel and Muzzle Brake F121 Early Split Hatch ..
A Complete Replacement Turret Includes Lion Marc Turned Aluminum Gun Barrel Separate Pistol Port..
All New Masters for Turret Shell, Cupola, and Mantlet Parts Includes British Smoke Grenade Launch..
A highly detailed complete replacement 76mm Sherman Turret for 1/35th scale kits. 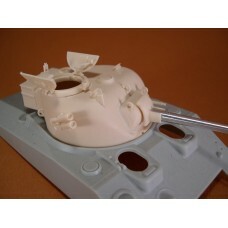 Can be used on M4A..